School will be starting soon. 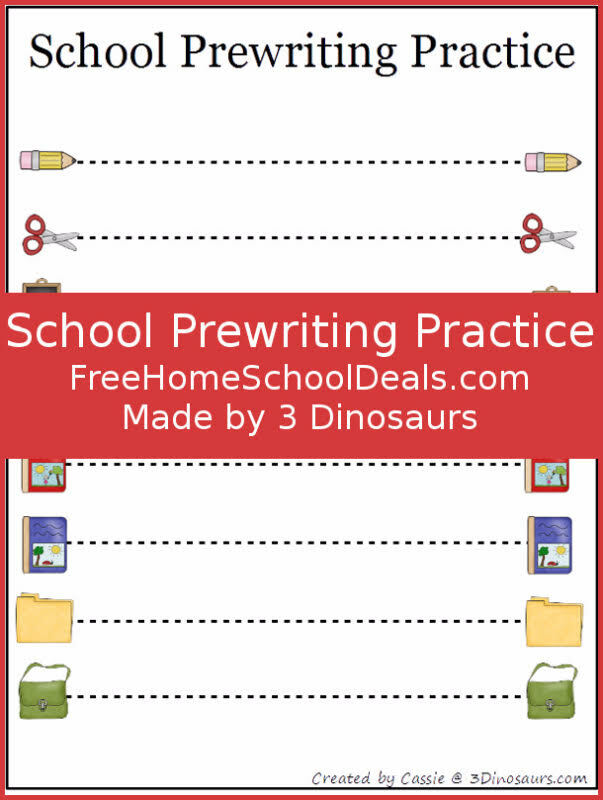 Check out these fun School Themed Prewriting printables. They are a great way to get some fun fine motor activities in and get them excited for school. These school printables match up with my School Pack on my site. You will find the following school items: pencil, scissors, chalkboard, backpack, red book, blue book, folder, and messenger bag. 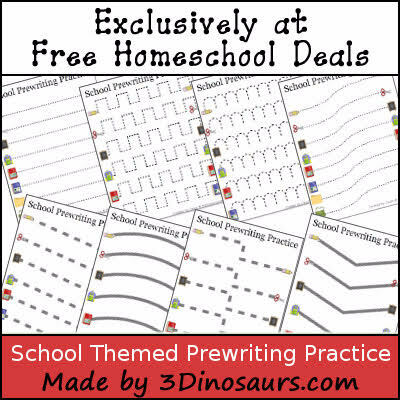 Thank you so much for posting these free printables!